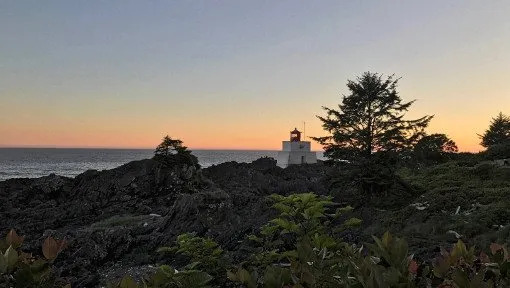 Ucluelet is a top destination for people who want to experience true nature and beauty. Come and kayak, whale watch, hike, surf, beachcomb, bird watch, paddle board and fish. Ucluelet is the place to find your adventure. The Wild Pacific Trail is about 8km long, with different sections showcasing the coastline, rocky bluffs, ancient cedar trees and temperate rainforest. A route map and trail guide is available to download from the Wild Pacific Trail website. Discover this pristine untouched archipelago of hundreds of islands. 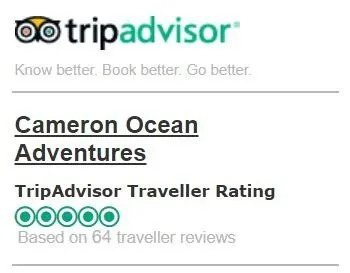 Cameron Ocean Adventures provides you with the perfect opportunity to visit this unspoilt area within Barkley Sound, and to discover an area rich in history and nature. Our whale and wildlife tours are an ideal way to experience the Sound. 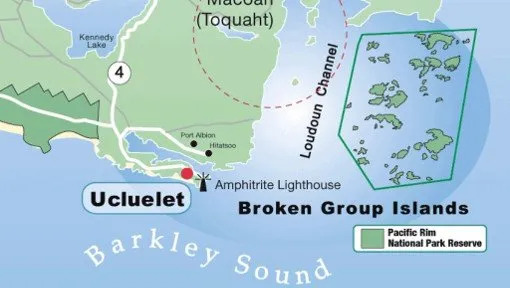 Ucluelet Aquarium catches all their specimens from the local marine area each year, and returns them back to the wild at the end of each season. 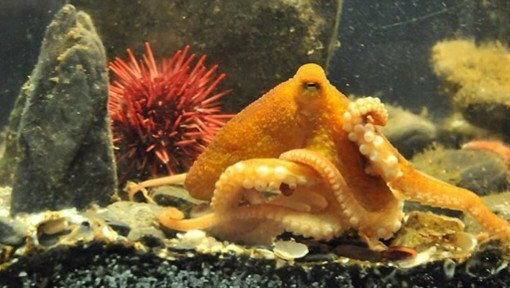 Knowledgeable interpreters are on hand to guide you through the marine life and touch tanks on display. 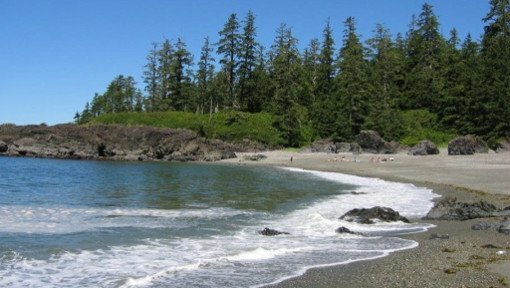 The Pacific Rim National Park Reserve of Canada is made up of the Long Beach, the Broken Group Islands and the West Coast Trail units. Visit the Kwisitis Visitor Centre to discover more about ecology and First Nations history of the area. Surfing is a popular activity in Ucluelet with both locals and visitors. The west coast of Vancouver Island offers some of the most accessible surf breaks in Canada. 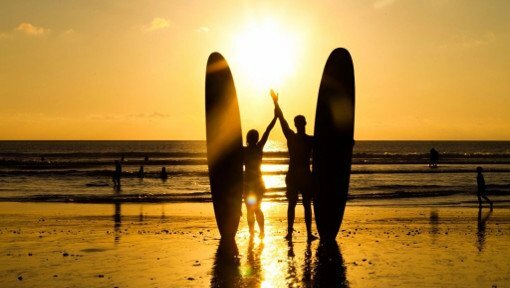 Lessons, board rentals and wetsuits are available from our local surf shops, Relic or Long Beach Surf Shop. Kayaking the local Ucluelet Harbour is a great way to get up close to the abundant intertidal life and to safely watch wildlife exploring the shore. 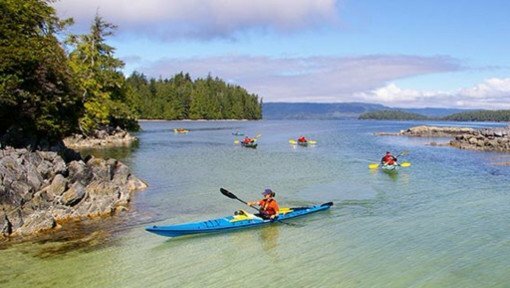 Overnight kayak expedition trips into the Broken Group and Clayoquot sound can also be booked through Hello Nature Adventure Tours and Majestic Ocean Kayaking.